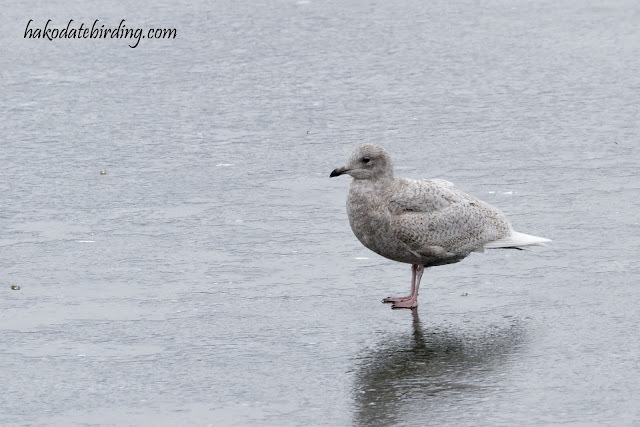 An Iceland Gull in Preston 7 years ago today. This was a lifer at the time (although it seems to have been lumped with Kumelins and Thayers Gull seubsequently and I've seen the latter in Japan). Note it's on ice: the usually mild NW of England was in the middle of a very nasty cold spell at the time. This was at Preston Marina, a pace which normally doesn't freeze over in winter at all AFAIK. Thayer's Gull was always a mystery to me.